A fascinating source for colorful pillows and rugs. Make room, because you’re going to fall in love with the bright colors and amazing patterns of objects made from vintage textiles found in the shop of Amber Interior Design. 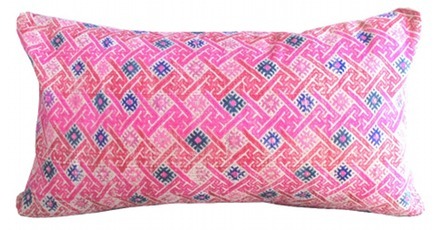 This pillow is made from vintage Chinese embroidery textiles on the front, while flax colored linen graces the back. 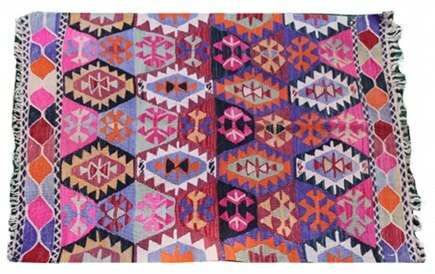 An antique Turkish kilim floor covering [below] is a perfect mate. The bold colors and traditional patterns marry well with many different decorating styles.